Huntington Beach is known as the "Surf City" of Orange County, California. The city is located just north of Newport Beach and south of Seal Beach at the northwest part of Orange County. Huntington Beach is known for it's huge sand beaches and unique waves that come crashing into the Huntington Beach Pier area. There is also a dog park area of the beach which is an unusual to Orange County beaches. There is a lot of history to Huntington Beach and there are sill reminders of this with the numerous oil wells all throghout the city. Huntington Beach Real Estate is very unique and one of the best features of Huntington Beach is all of the different fingers of Huntington Harbor that allows various pockets all throughout the Harbor to park thier boat and have boat access to the Harbor and the Sea. These pockets where the Harbor spreads are called "fingers" and as many as 30 different different streets have some kind of access to the Harbor. The real key is to find a condo or a house that has it's own boat dock. These kind of properties are always in high demand. 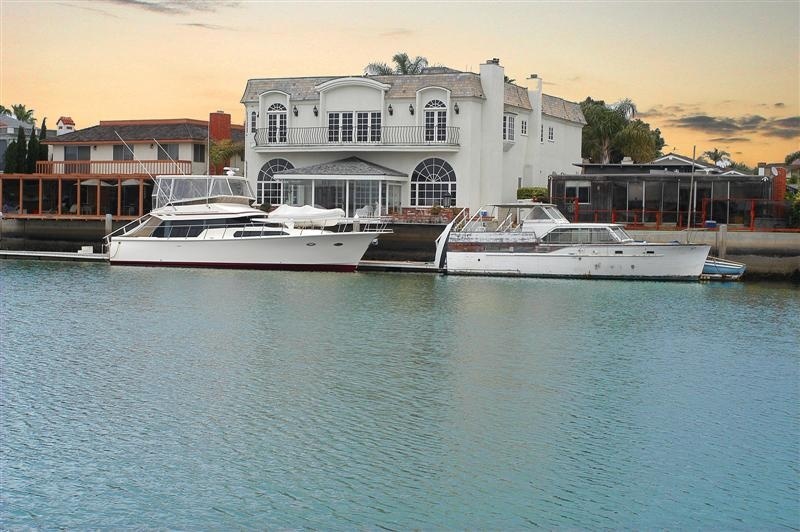 For a list of currently available Huntington Beach homes for sale and properites with boat dock access please contact us today. If you are looking for Huntington Beach Homes for Rent please visit our Huntington Beach Rentals page today.